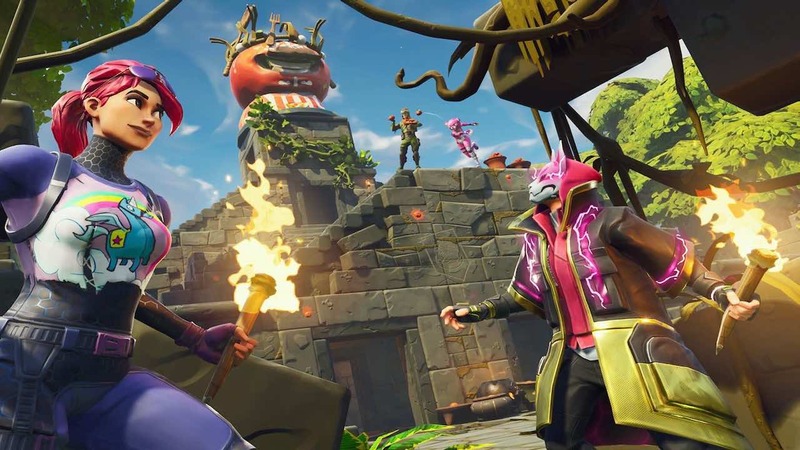 Epic Games released update version 5.30 for Fortnite today, and, with that, we would expect it to bring changes to the free-to-play battle royale game. What many weren’t expecting was a change to the map, in that Tomato Town has now become Tomato Temple. Land there, and you will immediately notice the differences. With the area now shrouded with trees, an ancient stone temple now presents a place where players can leave baskets of tomatoes as an offering to Fortnite’s own deity, Tomatohead. To mark the surprise change, the Tomatohead outfit (1,500 V-Bucks) is back in the Item Shop, which comes with the Special Delivery back bling. There is also the Axeroni harvesting tool (800 V-Bucks), for those that want to slice up whatever they hit.